Who says self defense can't be convenient? Not us! This cool kubaton pen offers effective foe-stopping power in a design that's compact, easy-to-carry and - best of all, perhaps - discreet. 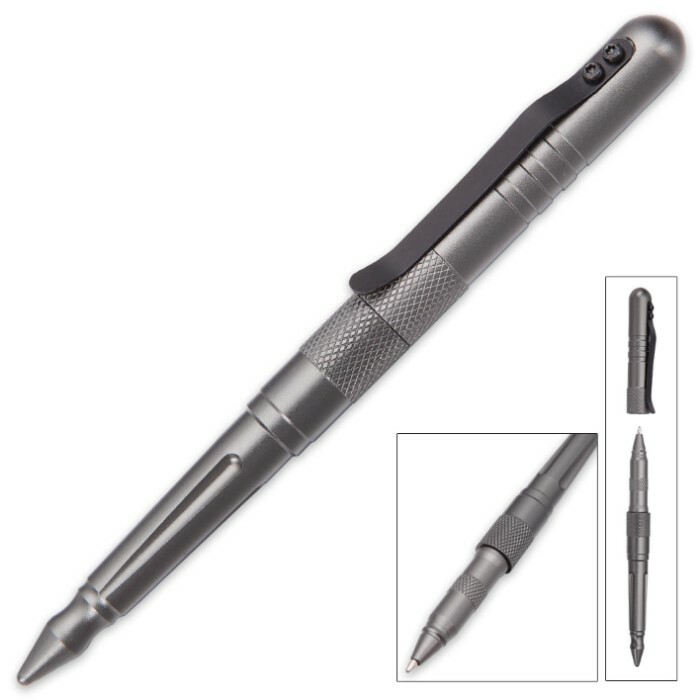 As a functional ballpoint pen, it's easy to keep on your person at all times without drawing unwanted attention - perfect for situations and/or locations where you can't carry a firearm, knife or other more traditional weapons. But while this sweet writing kubaton may very well be your last line of defense during an attack, don't think of it as a "last resort." That's selling it far too short! Made of heavy duty aluminum, it boasts a bitter, penetrating point that's more than than capable of disabling even the most tenacious assailants. Yet it's completely safe for everyday carry and use! Assaults and muggings are almost always sudden and unexpected; accordingly, you need a self-defense solution that can be dispatched safely and effectively at a moment's notice. There's no time to fumble with your holster safety strap, draw your handgun, aim and fire. Those few seconds are a few seconds too many. 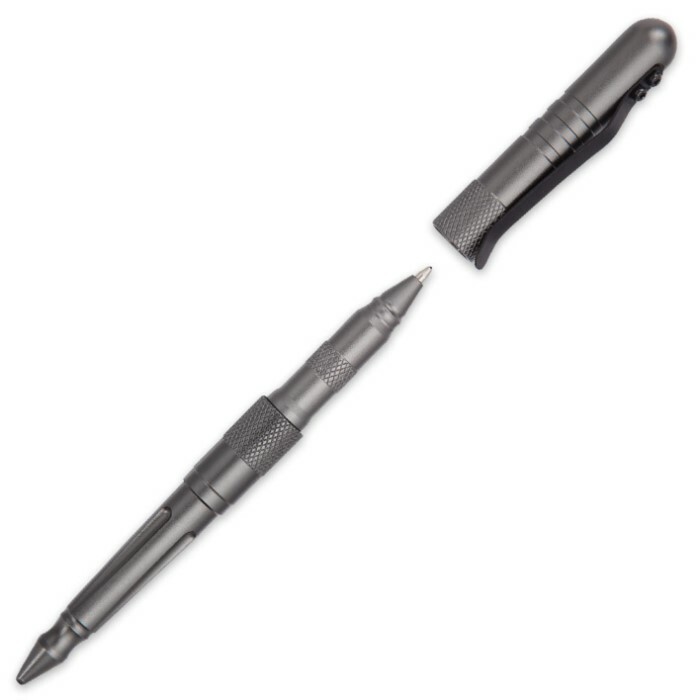 Thankfully - unlike guns and knives - you can safely carry this versatile tactical pen totally unsheathed - always poised and ready for action, even at a moments notice. The tough, piercing point is also great for breaking glass windows during car wrecks, structure fires or other emergencies, allowing you to escape - or help others escape - entrapment. 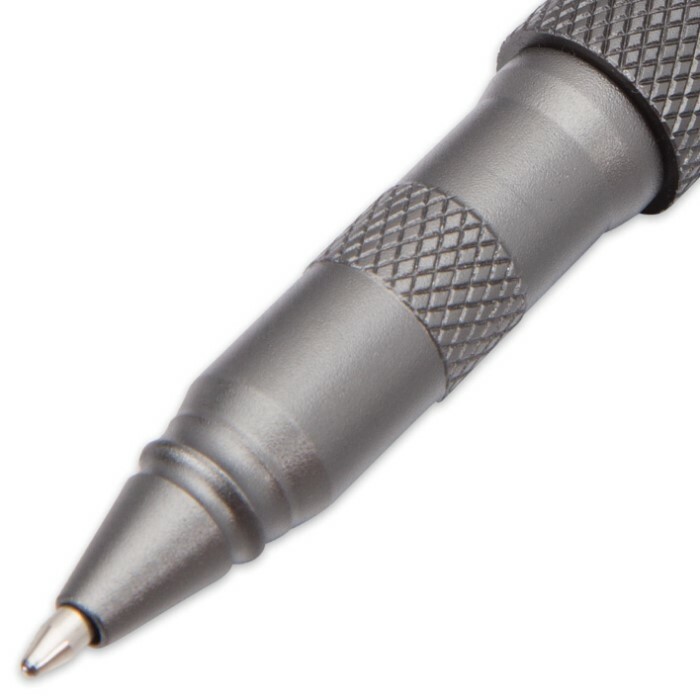 And as its name suggests, this handy, multifunctional defense tool conceals a smooth-writing ballpoint pen - just pull apart to reveal the pen or unscrew to refill the ink. Got things to write down? Got life to protect? Then order this awesome, must-have kubaton pen today!